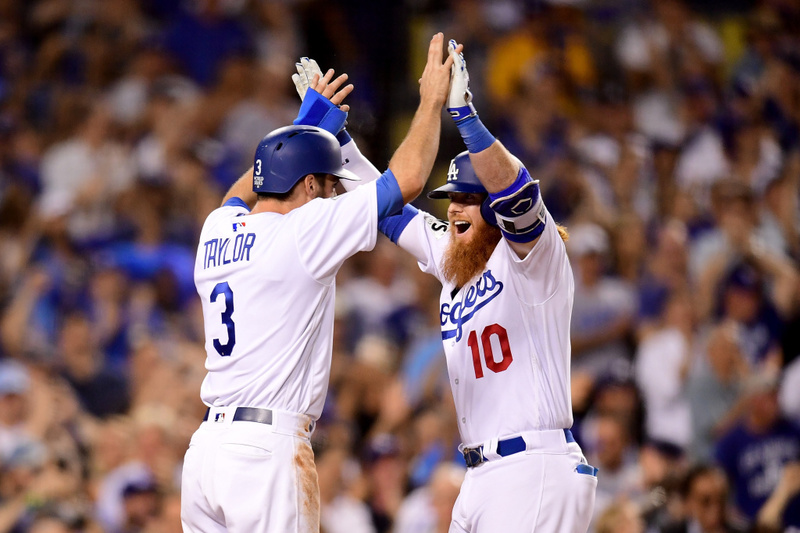 Justin Turner of the Los Angeles Dodgers celebrates with Chris Taylor after hitting a two-run home run during the sixth inning against the Houston Astros in game one of the 2017 World Series at Dodger Stadium on Oct. 24, 2017. 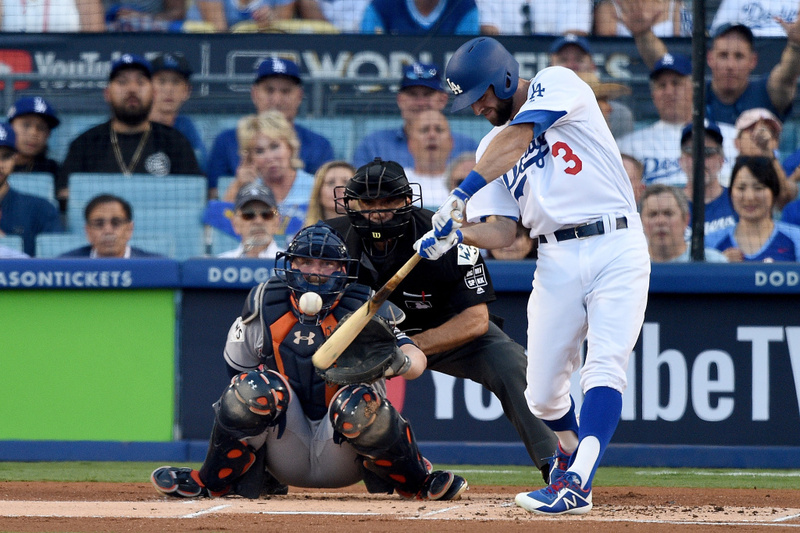 Boosted by Justin Turner's tiebreaking, two-run homer in the sixth inning off Dallas Keuchel, Kershaw was in complete control against the top-scoring team in the majors this season. 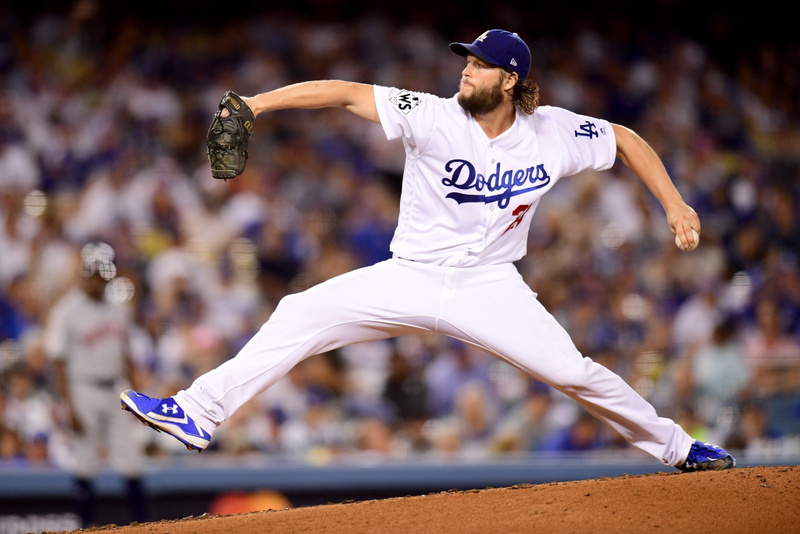 Clayton Kershaw of the Los Angeles Dodgers pitches during the seventh inning against the Houston Astros in game one of the 2017 World Series at Dodger Stadium on Oct. 24, 2017. Brandon Morrow worked a perfect eighth and Kenley Jansen breezed through the Astros in the ninth for a save in a combined three-hitter. The dominant Dodgers relievers have thrown 25 straight scoreless innings this postseason. Game 2 is Wednesday night, with AL Championship Series MVP Justin Verlander starting against Dodgers lefty Rich Hill. Los Angeles Dodgers' Chris Taylor hits a solo home run during the first inning against the Houston Astros in game one of the 2017 World Series at Dodger Stadium on Oct. 24, 2017. 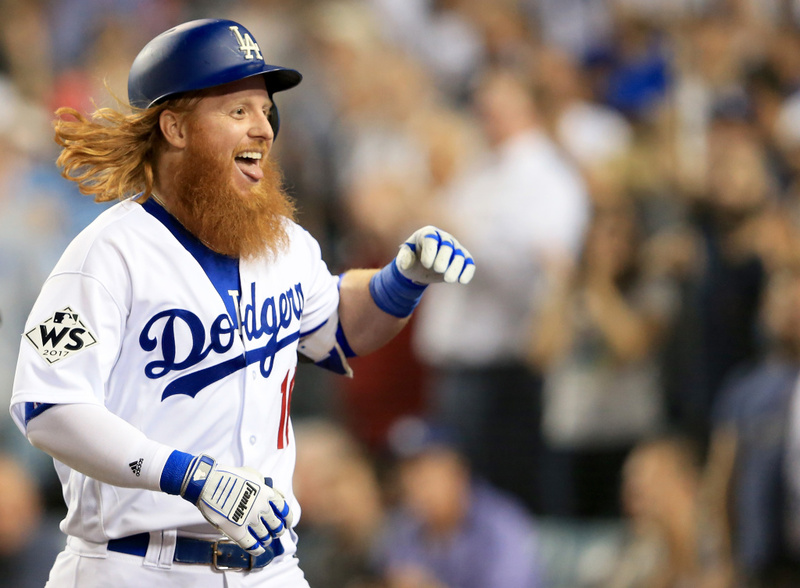 Justin Turner of the Los Angeles Dodgers celebrates after hitting a two-run home run during the sixth inning against the Houston Astros in game one of the 2017 World Series at Dodger Stadium on Oct. 24, 2017. KPCC Asks: Boston vs LA fans: Why will your team win the World Series?